Cypress (Cupressus sempervirens) is a towering evergreen that is known as either the Italian or Mediterranean cypress tree. It is a member of the Cupressaceae family. Cypress essential oil smells like warm green wood with a slight spice undertone. Cypress is a long-living tree, and there is one in Iran that is around four thousand years old. It can grow to a towering height of over 100 feet and blooms both male and female flowers. There is a difference between cypress and blue cypress, and cypress essential oil should not be confused with Australian blue cypress oil, which is steam distilled from the needles of the Callitris intratropica. Callitris intratropica is likewise known as Northern cypress pine. It gets its characteristic blue color from a small amount of chamazulene content. While they are both from the Cupressaceae family, they are not the same therapeutically. C. sempervirens is a colorless to pale yellow and is sometimes referred to as white cypress oil to distinguish it from the Australian blue. There is another cypress that produces an even lesser-known oil. This is Callitris columellaris, which is known as green cypress, Victorian emerald cypress, or coastal cypress pine. The essential oil of C. sempervirens is steam distilled from the foliage and twigs of the tree. It is primarily produced in France, Morocco, and Spain. You may find the place it was distilled in the name, for instance, French cypress oil. You may be wondering where to buy cypress oil, and if other company's oils are as good as those from big companies like doTERRA or Young Living. The short answer is you just need to do your research. There are many quality oils out there that you can get for fair prices. Look for organic oils whenever possible. Also make sure they list both the common name and Latin binomial, as well as where the oil was distilled. The company should also offer batch testing of their oils. These are gas chromatography and mass spectrometry (GC/MS) test results which will list the constituents of the particular batch you are purchasing. The best ones offer third-party testing results. Cypress blends well with citrus oils like bergamot (Citrus bergamia) and sweet orange (Citrus sinensis), floral oils like geranium (Pelargonium graveolens) and lavender (Lavandula angustifolia), and other wood oils like cedarwood atlas (Cedrus atlantica). There are numerous uses for cypress for the home aromatherapy enthusiast. However, old or oxidized oils should not be used in therapeutic situations. While this is true for any oil, some oils, like cypress, are more prone to oxidation. For this reason, it is recommended that the oil is kept in a dark glass container in the refrigerator away from light and heat. If making products containing cypress oil, add in a preservative to help avoid the oxidation process. The oil should not be used for prolonged periods or during pregnancy or breastfeeding. Cypress is helpful for many hair conditions. You can add it to natural, fragrance-free shampoos to combat dandruff or hair loss, or mix it into revitalizing and stimulating blends. It is likewise an excellent choice for oily hair. Cypress is an excellent oil for skin care routines. Just as it is beneficial in combating oily hair, it is a perfect choice for controlling excess oil in the skin. Removing them by "popping" them can cause further irritation and inflammation, so facial steaming followed by a tonic is a better way to resolve the issue. The steam will open the pores, loosening any stuck debris. The tonic applied afterward can help remove and further loosen them. First, get a bowl of steaming water. To this, add one drop each of cypress (C. sempervirens) and eucalyptus lemon (E. citriodora). Grab a towel, and lean over the bowl with the towel covering the back of your head to trap the steam. You will want to keep your face approximately 12 inches from the water. Keep your eyes closed and allow the steam to go to work for 5-10 minutes. Afterward, rinse your face with warm water. If the blackheads are bad, add a tablespoon of organic apple cider vinegar (ACV) to the steaming water. Swirl to mix, and soak a clean washrag in the water to use as a compress. Let sit on the face until it cools. Mix the above ingredients, and shake well before each use. To apply, dab on with a cotton ball or pad. The above tonic can also be part of your skincare routine if you have normal to oily skin, whether you have blackheads or not. Cypress is a common addition to men's colognes, deodorants, and more. Its scent lends itself well to your homemade lotions and soaps. Plus, it can add therapeutic qualities to them as well. Remember to add a preservative to any formulation that has cypress in it to make it last longer. Some natural preservatives include vitamin E, rosemary extract, and grapefruit seed extract. Unfortunately, these are not broad-spectrum preservatives, so may not work for your particular blend. That is beyond the scope of this article, however. Please do your research when formulating products so you know they will last as long as you intend them to. While products may still look and smell fine, that does not necessarily mean that no microbes are lurking within! The benefits of cypress oil include it being antispasmodic, antitussive, astringent, and restorative. It is also a circulatory, diuretic, and venous decongestant, which is why it is often used for the following health conditions in therapeutic settings. As a diuretic and venous decongestant, cypress oil is an oil that is a wise choice for those who have problems with retaining water. Dieters often go on crash diets that promise pounds to be shaved off quickly. This is usually water weight that comes right back. Retaining fluid often shows itself as swelling in the lower extremities, although you can have general puffiness all over. Lymphatic drainage massage works well in reducing fluid retention. You do not need to go to a professional massage therapist for this, although if you can at least once a month, it will do wonders. Learning how to dry brush is a good step towards combating the problem. Get a good quality brush specifically for this purpose. It should have a long, wooden handle and high quality, natural bristles. To perform the technique, you will start at your ankles and brush up towards your thighs in a sweeping motion on both sides of the legs. Then, brush your arms. Start at your wrists and brush up to your shoulders. For your back and abdomen, brush up towards your chest. You will always want to be brushing towards your heart. Do not use a lot of pressure. If it hurts or your skin is feeling raw, you are brushing too hard. This should be done on dry skin before showering, and at least twice a week. After you are done, shower as usual and then moisturize your newly-exfoliated skin. You can enhance this method by performing a wet-wash essential oil rub in the shower. This is done in much the same way as the dry skin brushing, as you will be using the same motions. However, it will be done with a wet, essential oil-infused wash rag. There are more detoxifying oils that also have diuretic properties, but these will get you started. The oil properties of cypress make it an excellent choice for varicose vein blends. Varicose veins involve the superficial veins in the legs, which are those close to the surface. The valves in these veins can become weak and not work properly, which often shows up as blue lines that are frequently called spider veins. When they get worse and are bulging and twisted, they are varicose. Standing for long periods of time make them worse because of the additional pressure. These veins should never be massaged directly, as this can exacerbate the condition or break the already weakened veins. However, the application of essential oils can help reduce the pressure on the damaged valves. When using a blend for this condition, start by cupping the ankle with your hand and gently sweep up the leg. There is no need for pressure, you want to simply swipe the oil on the leg. 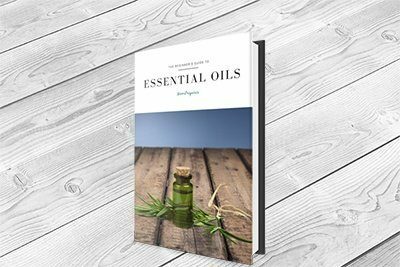 Other than cypress, you can choose from oils such as black pepper (Piper nigrum), carrot seed (Daucus carota), either Roman (Anthemis nobilis) or German (Matricaria recutita) chamomile, Helichrysum/Immortelle (Helichrysum italicum), or patchouli (Pogostemon cablin). Prepare a blend with your chosen oils, then add 3-5 drops into a teaspoon of a carrier oil. Anti-inflammatory carriers like apricot kernel (Prunus armeniaca), hemp seed (Cannabis sativa), and avocado (Persea americana / gratissima) are the best choices for this malady. Cypress essential oil can help respiratory ailments like asthma, bronchitis, and coughing. A tea made from the needles was often used by many cultures to improve these conditions. With the oil, use it in a personal inhaler, a cotton ball in a baggy, or a regular diffuser. You can also use the facial steaming technique. However, if this intensifies the symptoms, stop immediately. The pharmacological effects of Cupressus sempervirens were examined in an article published in 2016 by Ali Esmail Al-Snafi of Thi-Qar University- College of Medicine. He highlighted many studies showing the oil being an effective antimicrobial, with it successfully inhibiting bacteria, fungi, parasites, yeasts, and viruses. Also discussed were the antioxidant, insecticidal, anticoagulant and wound healing abilities, among other things. Cancer kills over six million people annually, so research in combating the disease is of the utmost importance. With traditional medicine failing and an increased interest in alternative and natural therapies, more studies on substances like essential oils are being conducted. Many cypress varieties produce essential oil, but the one that is superior in therapeutic settings is that of Cupressus sempervirens. Be sure that is the botanical name listed when you purchase the oil. You can use the oil for many things at home, and it can benefit the circulatory, respiratory, muscular, urinary, and women's reproductive systems. Do not use the oil for long periods or if you are pregnant or breastfeeding, and always discontinue use if any irritation or adverse effects occur.